Expect long-lasting fun with Outward Hound Firehos..
PUPPIA JUNIOR HARNESS A BEIGE L Neck 14.5' Chest 20-29"
ColorBeige / Pink★ Size S / M / L&..
PUPPIA JUNIOR HARNESS A BEIGE M Neck 12' Chest 19-22"
PUPPIA JUNIOR HARNESS A BEIGE S Neck 9" Chest 12-19"
PUPPIA JUNIOR HARNESS A PINK L Neck 14.5' Chest 20-29"
PUPPIA JUNIOR HARNESS A PINK M Neck 12' Chest 19-22"
ScoopFree Premium Blue is a disposable litter tray..
New Timothy Hay Plus offers natural KAYTEE timothy..
Nutrapet Designed in the United States of America ..
1 box consists of 28pcs x 85G. Chunks in gra..
To support healthy ageing in senior cat, AGEING +1..
1 box contains 12pcs x 85G. Shiny hair complex Nou..
Indoor Care FormulaSpecially designed cat food for.. The Drinkwell Big-Dog Fountain uses the same innov..
ScoopFree Ultra Automatic Self-Cleaning Litter Box- New Design! 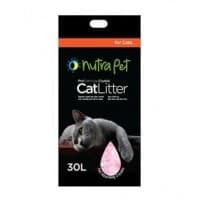 ScoopFree is the only self-cleaning litter box tha..
100% Natural Bentonite280-300% Absorption Capacity..
100% Natural BentoniteOrange ScentedVery Hİgh Odor..
Salmon 4 Pets: 100% Alaskan Salmon Premium Pet Tr..
Salmon 4 Pets: 100% Alaskan Salmon Premium ..
Redbarn Naturals Whitefish Cat Treats only have on..
Redbarn Antlers are from wild, free-roam deer..
Redbarn Antlers are from wild, free-roam deer. T.. Grain Free Cat Treats, with Meat or Poultry as the..
Nylabone Healthy Edibles Chicken Chews are natural..
" INGREDIENTS: Wheat Flour, Chicken Brea..
Natural Duck Drumsticks With Sweet PotatoThi..
Quality Real ChickenThis premium gourmet treat is .. 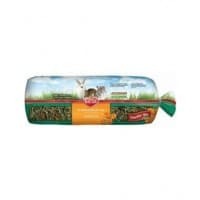 INGREDIENTS: Chicken, Wheat Flour, Glycerin..
Made from Natural Chicken Breast Meat.These delici..
For everybody who loves their furry little friends and wishes to provide them with the very best of care, here’s one of the best pet shops in Dubai at your service. Pet Corner is not just a bigger store, it’s a better one. It is one of the best pet stores where you can get different kinds of cat, dog and bird food in Dubai. Whether you are looking for the best dog accessories in Dubai, healthy pet food, dog or cat grooming tools and essentials, Pet Corner is the go-to place for all. A prestigious pet shop in Dubai with an experience of over 15 years in pet care and product supplies, we are a family run business that started with an aim to create a widespread and fun-filled shopping place for all pet parents. Our establishment in 2004 was focused on wholesale veterinary endorsed pet products, and with the opening of our official pets’ store in the Green Community at Market Mall in 2005, we became one of the most popular choices for pet care in Dubai . With an active online pet shop as well as physical store, efficient payment, delivery system, and customer care, our pet shop in Dubai promise a satisfying experience to every customer. Besides a wide range of over 3,000 top-quality pet products, we also provide services of the next level such as pet administrations including canine handling, pet grooming procedures and techniques, and instructions on healthy and nutritious sustenance for various budgets. Our dedicated team at the shop is your pets’ new best friend with caring, reliable and expert services. In the context that you do not own a pet, we will help you find the perfect one that suits your habits and requirements as well. When it comes to services for pet grooming in Dubai, you will find unparalleled salon facilities and services at our pet shop with expert handlers highly knowledgeable in popular breeds of pets, extending their expertise in grooming your pet to perfection, according to the breed standards or to your personal instructions. Our salon is equipped with a large bath, hot and cold showers, salon professional drying and grooming equipment as well as top-notch safety features. The salon is diligently disinfected after every client, and a selection of imported premium shampoos and conditioners are competently used. We have the best of dog grooming Dubai essentials at our store available at good prices. Dog grooming is quite important for you to strengthen your bond with your furball. Not only frequent grooming helps to keep your pet in a top-notch condition, but it also helps in avoiding various infections and skin problems. We have different kinds of grooming essentials including hair clippers, nail clippers, shampoos and conditioners, hair dryers etc. that are required for grooming your dog. We can assist you in picking the best one for your little buddy. Besides offering cat grooming Dubai services, we also have a variety of grooming products for your feline. You can choose from a variety of tools and products like shampoos, conditioners, nail clippers, toothbrushes and toothpaste to keep your little bundle of joy well maintained. Pick up and drop off facilities are offered by us, with free services around Green Community, Ewan Residence, Victory Heights, Motor City, Dubai Investment Park, Dubai Sports City, and Arabian Ranches. Other locations will be charged an optimal price, all throughout promising efficient transportation of pets in vehicles fitted with IATA approved kennels. Our range of pet toys would instil a happy and close bond between your pet and you. Be it feline, canine, fowls or any kind of aquatic pets, you will find a variety of products for maintaining your pet’s hygiene in a hassle-free manner. We are presumed one of the best pet shops in Dubai for our top-notch products and quality administrations. If you wish to have the best pet care in Dubai for your furry friends, Pet Corner is just the place for you!